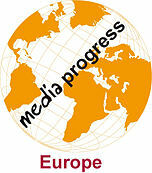 Media Progress consultants have been involved in numerous projects. Some are listed below to inspire your use of media for development, democratic transition, and conflict prevention. Mid-term and final evaluation of the support programme for the media sector in the post-revolution phase in Tunisia for the EU and other stakeholders. Construction or re-construction of intervention logic, and logical framework. Comprehensive and independent analysis of the performance of the Tunisian Media Sector Support Programme, especially its intermediate and final results, in comparison with the programme objectives and expected results, and the reasons supporting these results. Lessons learned, conclusions and recommendations in order to improve, where appropriate, current and future actions. Draft approach and methodology of possible future media support programme. Facilitation of the media reform process to encourage a conducive policy and legal framework for the operation of the media sector, promoting transformative change and supporting the growth of a vibrant media. Review of all relevant media related legislation and recommendation to revise specific articles in line with the reform. Based on a comprehensive stakeholder process with the media sector and government the assessment and detailed recommendations for media reform pillars were agreed including for the management structures of public broadcasters, the regulatory bodies, self-regulation, independent news agency, capacity building for managers and journalists, and access to information. On this background a National Media Strategy was developed in accordance with the government to be validated in a national validation process including local politicians, the media, and the civil society sector. Independent and systematic mid-term evaluation of the MedMedia project, recommendations for possible adjustments of activities and strategies for the last phase of the project, overall assessment of the comparative advantages and added value of the regional project vis-a-vis media support programmes developed at bilateral level, recommendations for the discussion on the relevance, possible scope, format and tools of future media related programmes in the Southern Neighbourhood. Assessment of the project design and of project implementation, recommendations for the final phase of the project, and input for discussion on future media related projects. Assessment of the public service media's commitment and capacity to work as editorially independent media in the pre-accession countries. Technical assistance to DG NEAR in the preparation of the service contract implementing the regional technical assistance to PSM through a needs assessment, drafting complete Terms of Reference and supporting the evaluation committee during the evaluation of the offers. Analysis and update of recommendations in the documents "Western Balkans and Turkey Media and Freedom of Expression Fact-finding and Scoping Study" and the baseline assessment of the Guidelines for EU support to media. Examination of reports of the current projects financed by DG NEAR assisting PSM in Western Balkans and Turkey. Assessment of the complementarity and consistency of the proposed intervention with other projects in favour of PSM currently ongoing or in the pipeline. Evidence-based assessment of media freedom in Rwanda based on UNESCO's Media Development Indicators. The assessment evaluates if there is a system of regulation conducive to freedom of expression, pluralism and diversity, if there is plurality and diversity of media with a level economic playing field and transparency of ownership, and if the media is a platform for democratic discourse. It further assesses the professional capacity building and supporting institutions underpinning freedom of expression, pluralism and diversity as well as the infrastructural capacity to support independent and pluralistic media. The report is produced for the self-regulatory body Rwanda Media Commission and will provide a standard reference on media freedom in Rwanda and key recommendations for a future democratic media landscape. Belgium "Concept Notes concerning Basket Fund and Commercial Investment Fund for Russian-Language Media Initiatives in the Eastern Partnership countries and beyond" - Client: European Endowment for Democracy, 2015. Concept notes describing models of financial support to a basket fund and commercial investment fund solutions for Russian-Language Media in the countries of the Eastern Partnership and beyond based on recommendations from a feasibility study prepared by the EED. Rationale for selection of the model, legal structure and governance, mechanisms of funding approval and distribution, best practices/examples on which the model is built and preliminary budget (with estimation of possible sources). Synthesis report of four local expert reports on the current media situation for Russian speaking populations and the level of media literary within Estonia, Latvia, Lithuania and Ukraine; the initiatives taken by the national governments; and the local experts' suggested measures to address the identified needs for Russian-language media. Presentation of current media situation in the individual countries; national and regional initiatives to remedy the need for locally produced Russian-language media; synthesis of local experts' reports and suggested measures with recommendations and action plan. Drafting of Legal Opinion on the proposed law on the privatization of 550 state-owned newspapers in Ukraine. Analysing international legal provisions and best European practices with regard to political communication. Advisor on press self-regulation and defamation law. Design of a two-year media development strategy, a media development programme, an operational plan and a resource mobilisation plan aimed at further supporting the development of democracy through comprehensive capacity building support of the media landscape. Assessment of the capacity and needs of the media landscape, regional workshops for key media institutions and facilitation at a national forum of the IMC and stakeholders addressing the comprehensive development challenges of the media landscape. Feasibility study for the establishment of a Media Basket Fund for media capacity building aiming to enhance the effectiveness and efficiency in media sector development interventions and enabling media to be economically sustainable and meet professional standards. Drafting organizational and management structure, eligibility criteria, scope of fund intervention and Roadmap for basket fund implementation and strategy for resource mobilisation. Support to the media component of the Kyrgyz Republic Transition Initiatives funded by OTI-USAid. Development of current media projects and design of new projects using media to facilitate increasing engagement of citizens across the country's diverse ethno-lingusitic communities with local and national government following the 2010 inter-communal violence. Assessment of the capacities of media to serve as an agent of nationwide social cohesion and to propose new ways for media practitioners to engage in their work. Overview of the existing public and private funds that can contribute to projects related to CFI's missions, such as development support in the media (production, training, circulation of works, networking, capacity building of audiovisual companies, digital transition, journalists, etc.) in developing and emerging countries in Africa and the Mediterranean with a special focus on the Middle East and regions such as Balkan and emerging Asian countries. Research and production of the Bangladesh case study of the project ‘Support to media in closed societies and/or where media freedoms are limited'. The three-year project, funded by the Swedish International Development Agency (Sida) examines the development of media - with a particular focus on relationships between people, politics and media - in South Sudan, Somalia, Bangladesh, Cambodia, Tanzania (TBC) and Syria. It focuses specifically on external support from donors and media development organisations to local media organisations and civil society organisations (CSOs) in each of these contexts. Pre-accession study for the Serbian government on the present economic, legislative and political status of the media sector comparing the Serbian media landscape with 3 EU member countries and presenting all key media stakeholders with economic, legal and policy recommendations. The recommendation conference was followed by 6 Ministry of Culture and OSCE stakeholder meetings providing the foundation for a future media policy strategy in Serbia. Evaluation of grant applications by Serbian media for documentaries, radio and television features, docudramas, and print productions focusing on EU integration. TA to management, capacity building at Kosovo Media Institute, creating a pool of journalism trainers, establishing a network of local broadcasters and developing public-relations and marketing unit. Implementation of second phase of the Kosovo Media Institute with particular focus on building its media advocacy capacity.